For beautiful skin we all know that consuming plenty of water is a must. However we all struggle to stay up with the recommend 2 litres intake of water a day. In addition the cost of buying bottles of spring water is simply unnecessary and a waste of money. The drinking products featured here are clever ways to help you with your water intake and hydration regime. The brands Bobble and Brita are clever ways to filter tap water of impurities so that your water will taste better. 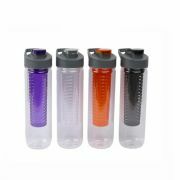 In addition the bobble bottle seals closed so it is handy and mobile to take with you anywhere, whether that is the gym or the office or simply out walking. Bobble offer water bobbles that have filter spouts and will filter water while you drink. 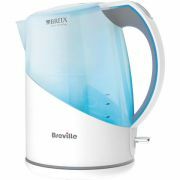 Brita and Bobble also have jugs that will filter tap water and store it until you are ready to use it. Both will fit neatly in your fridge so that you literally have ice cold spring water on tap and all for free. Bobble offers a more sustainable solution to the unnecssary waste caused by billions of disposable plastic water bottles thrown away every year, in addition it saves you money with each filter filtering approximately 300 bottles of water. Thats a whole lot of savings if you do the calculations. Brita filters have become a necessity in every home in Ireland, especially with the recent scandal of unclean water which hit the news these past couple of years. Now that the water changes are coming in later this year, it is being reported that and the funds raised directly with these charges going back into maintaining and upgrading Ireland water network so we will have clean and safe water to drink. Given that you will be paying for the water going forward doesn't it seem a waste not to drink it! Avoid throwing away good money, if you not keen on the taste of your tap water simply filter it with a Brita filter jug and replacement jug filters which will fit neatly in your fridge.